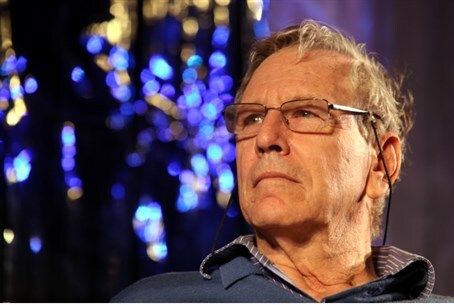 Prominent Israeli novelists and left-wing thinkers Amos Oz, A.B. Yehoshua, and David Grossman have attached their signatures to a letter calling on European parliaments to recognize the "State of Palestine" alongside Israel. The left-wing initiative has so far collected signatures of some eight hundred Israelis. The letter was sent Sunday, specifically to members of the Belgian Parliament, whose legislators are working on a resolution to recognize a Palestinian state. "The Belgian Parliament is set to discuss the recognition [of Palestine] in the coming week, joining the parliaments of the United Kingdom, Spain, and France who have already done so. The Danish Parliament is also going to discuss the issue this week, and a letter was recently sent there, as well," organizers of the letter told the press. "Additionally, we sent a similar letter to members of the Lower House of Parliament in Ireland who held a vote on the subject." The Irish Senate, the Upper House of Parliament, did in fact make the decision to recognize "Palestine" several weeks ago. The letter itself states: "We, the citizens of Israel who want security and peace, are concerned with the political stalemate and the ongoing occupation and settlements, which has led to conflicts with the Palestinians and torpedoed any chance possibility of an agreement." "It is clear to us that the chances of Israel's survival and its security depend upon the creation of the State of Palestine, based on the 1967 borders as well as Israel's recognition of Palestine and Palestine's recognition of Israel." "Your initiative to recognize the State of Palestine will promote the chances of peace and encourage Israelis and Palestinians to resolve the conflict," the letter concludes. Signatories of the letter read like a who's who of the Israeli hard-left, including political scientist Professor Zeev Sternhell; artist David Tartakover; former ambassador Alon Liel; Labor politician Colette Avital; politician and academic Yair Tzaban; former Meretz MK Yossi Sarid; writer and far-left activist Uri Avnery; New Israel Fund president Naomi Chazan; and Communist party MK Tamar Gozansky. While Belgian legislators are still unclear when the resolution will be tabled and voted on, Denmark's vote is scheduled for December 12. Afterwards, the Palestinian Authority has stated it will push for similar votes from Austria and Finland.